Top: Nordstrom BP; Pants: Lucy Paris; Shoes: Louboutin. 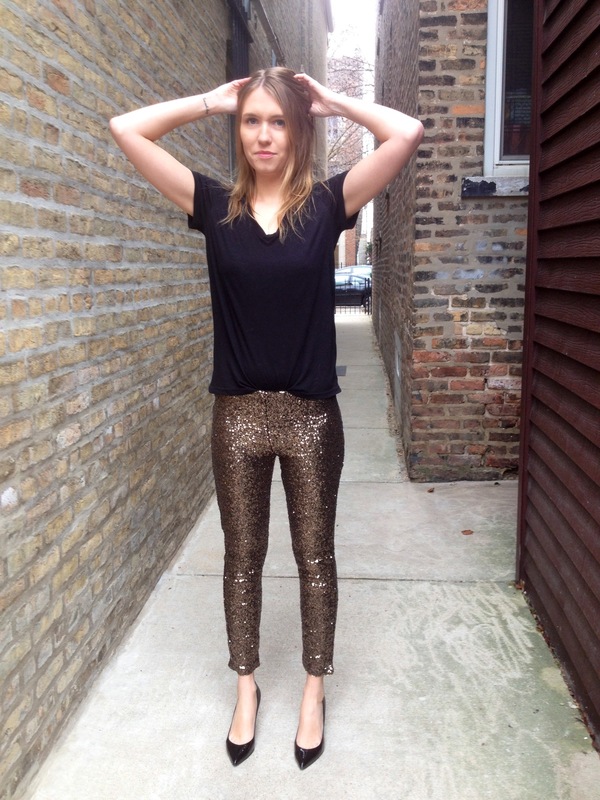 Usually I don’t blog an outfit beforehand but I’m making an exception for NYE … New Year’s Eve has always been an excuse for me to leave the house bedazzled in sequins (which, if it were socially and fashionably acceptable, I would wear everyday.) This year is no different. 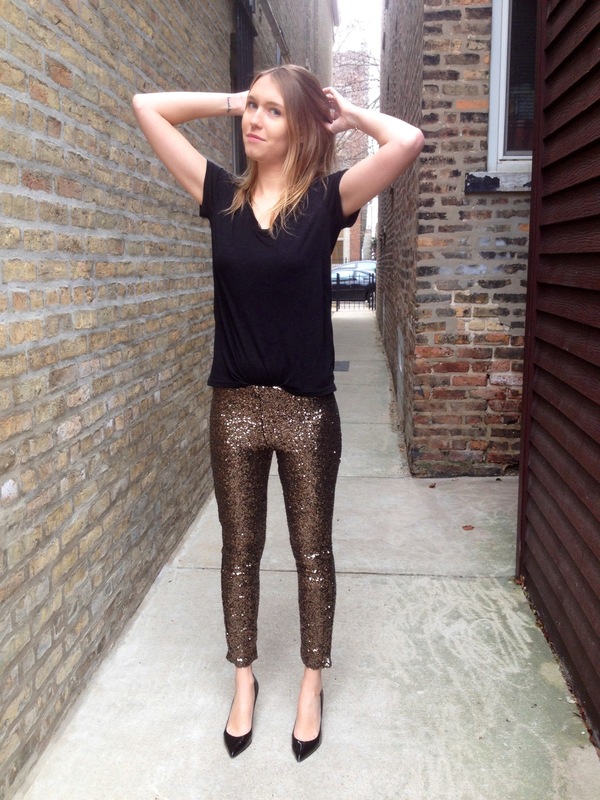 I am pairing a pair of Lucy Paris sequin leggings with a plain black tee for a laid back, yet sparkly look. 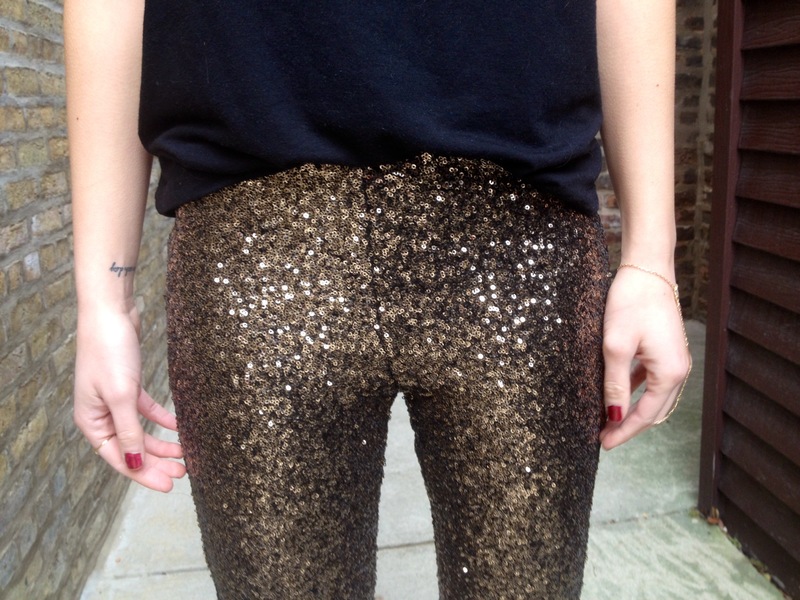 I love those gold sequin pants! I see them all around and really need a pair! I’m so in love with those pants! That are amazing!